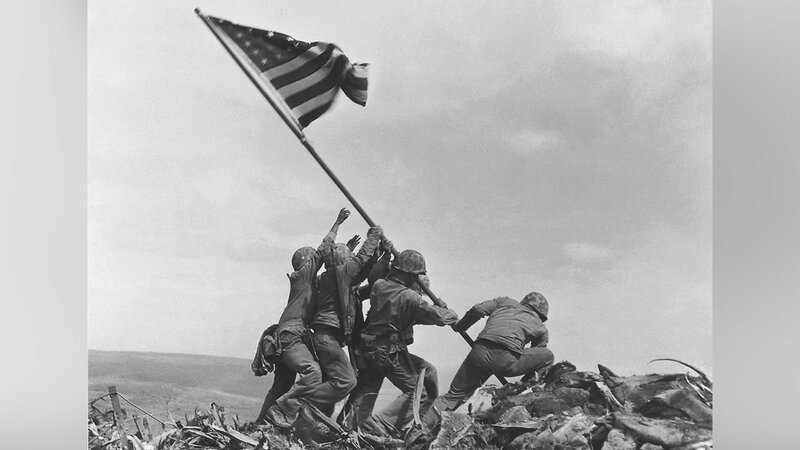 Seventy one years ago Tuesday, the U.S. Marines on Iwo Jima captured Mount Suribachi during World War II. The battle for the Pacific island was part of the US island-hopping strategy to defeat Japan. 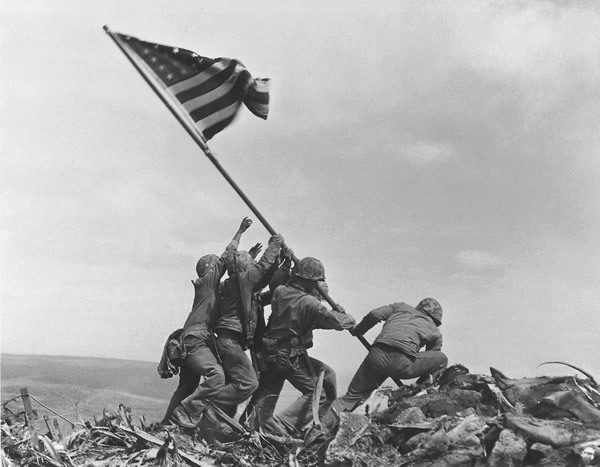 AP photographer Joe Rosenthal's photo of a flag raising on the mountain became one of the most iconic images of the war and was the basis for Felix de Weldon's Marine Corps War Memorial sculpture which was dedicated in 1954 to all Marines who died for their country past and present. It's located next to Arlington National Cemetery just outside Washington, D.C.
U. S. Marine Corps War Memorial, in Arlington, Va.